As 2015 comes to an end and our holiday plans are organized, we want to share our love of travel by telling you about some of the adventures we have already planned for 2016. During this time of year, we talk about the places we've been, where we would like to go again, and some of the destinations we've never visited - yes, there are a few. So, here are four special sailings, from the Signature Travel Network Collection, that will be personally hosted by a Reid Travel consultant. Each offers Outstanding Value, Exclusive Amenities and one of our very own Personable Hosts to ensure that your cruising experience is extra special. The Spirit will be sailing round trip from Ft. Lauderdale with ports of call in San Juan, Gustavia, St. Maarten, Basseterre (St. Kitts), St. John's (Antigua), and Tortola. It doesn't get better than this and you're back in time to do your taxes! The Symphony sails from Rome to Venice with ports of call in Sorrento, Amalfi, Trapani, Kefalonia, Kotor, Dubrovnik, Hvar, and Ravenna. This is a very special itinerary from beginning to end and will be a joy to remember for years to come. 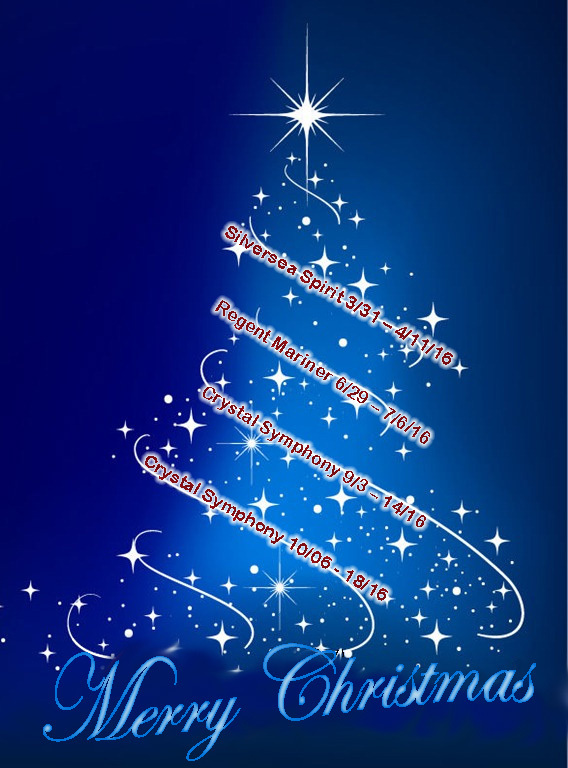 This time The Symphony is sailing from Rome to Lisbon with ports of call in Monte Carlo, Barcelona, Cartagena, Tangier, Casablanca, Arrecife (Canary Islands), Santa Cruz de Tenerife, Funchal, and Lisbon. You can put this under my tree any time! And now that our Reid Travel Hosts have made their selections for 2016, why not give us a call and let us help you make your own choice(s) for the New Year. Wouldn't that be a nice holiday gift for a family member or even yourself? Why is it that bad news takes precedent over the good news? Sure...bad things happen every day, every hour to all of us, but what about the good things we also experience. TV and newspapers feature the bad news to draw an audience and to sell more newspapers. In the travel arena, using good judgement in every move we make is the answer: consult with experts ("those in the know"). With that in mind, we share the following approach to safe travel. Wendy Perrin, formerly Director of Consumer News and Digital Community at Conde Nast Traveler, where she wrote for 17 years and her award-winning blog for 8 years, began her career long ago as an Ombudsman (consumer advocate) investigating reader complaints. She is now TripAdvisor's first-ever Travel Advocate and recently wrote the article below "7 Keys to Traveling Without Fear Despite Terrorist Attacks"
The terrorist attacks in Paris underscore that we're living in a world where anything can happen anywhere at any time-in a Paris theater, in a Madrid train station, in a hotel in Mumbai, at a shrine in Bangkok, in the London Tube, in a nightclub in Bali, at a running race in Boston, in a skyscraper in Manhattan.... The answer is not to stop traveling-or to avoid huge swaths of the globe out of a misperception that your risk is greater there than anyplace else. The answer is to keep traveling, to make friends around the world, and to be a thoughtful ambassador for your country. Of course, while your head may be telling you that, your gut may be apprehensive. You may be making travel plans-or trying to- and you can't help but wonder: If I go, what is the risk that I will get caught in a terrorist incident? How do I minimize that risk? If I can't minimize it, how do I get over my fear? 1. Grasp how minuscule the statistical probability is of getting caught in a terrorist attack abroad. According to the U.S. Department, the number of U.S. citizens killed overseas by incidents of terrorism from 2001 to 2013 was 350. If you're thinking home is safer, compare that number with the 3,030 killed in the U.S. by terrorism during the same period. In terms of street crime and gun violence, most of the U.S. cities we live in are statistically more dangerous than the places we visit abroad. Your risk of being killed in a car crash (one in 19,000), drowning in your bathtub (one in 800,000), or being struck by lightning (one in 5.5 million) far exceed your risk of dying from terrorism (one in 20 million). 2. Don't confuse the probability of a terrorist attack with the probability of becoming the victim of a terrorist attack. Is it virtually certain that there will be another terrorist attack in Europe in the next 12 months? Yes. Does that translate into high degree of risk for the individual traveler to Europe? No. 3. Know where the real dangers lie. When planning a vacation, we tend to worry more about spectacular risks-whether a terrorist attack or an epidemic of norovirus on a cruise ship-than about boring risks like, say, overexposure to the sun, even though one in five Americans will develop skin cancer in the course of a lifetime. 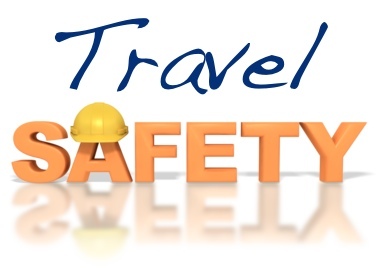 Remember that the single biggest cause of death for Americans traveling overseas is motor vehicle accidents. 4. Understand the reasons why your fear of a terrorist attack is out of proportion to the risk. There are psychological reasons why we are more afraid of terrorist attacks than logic would dictate. We're more afraid of risks that are new and unfamiliar than those we've lived with for a long time (e.g., heart disease, which kills one in 467 Americans annually). We're more afraid risks that kill us in particularly gruesome ways-say, a plane crash, a shark attack, or the Ebola virus-than in mundane ways. We're less afraid of risks we feel we have some control over, such as skiing and driving, even if it's only the illusion of control. (Most people think their driving is safer than it actually is. We're all on text away from death on the road). We're more afraid of human-made dangers than those with natural causes, such as solar radiation or earthquakes. We're more afraid of risks that are highly publicized, especially on television, and those that involve spectacular events. One incident with multiple deaths has a much greater impact than many incidents each involving a single death. The is one reason why we fear plane crashes more than car crashes (even though the latter are far more likely). 5. Don't focus so much on unlikely risks that you ignore common risks that are far more likely to hurt you. Frightened people make dangerous choices. As an example, after 9-11, people chose to drive rather than fly. As another example, cruisegoers may be so focused on washing their hands frequently in order to avoid norovirus that they forget to reapply their sunscreen. Or, here's a personal example: When I was in Istanbul shortly after 9-11, I opted for a small locally owned hotel in a quiet part of town far from the U.S. Consulate. I figured a Western chain near the main square, or a hotel next to the Consulate, was more likely to be a terrorist target. But every night I kept having to hail a taxi to that small hotel, and the drivers kept getting lost en route-one even got a flat tire and left me on the side of the road-and it was dark on that inconspicuous street in a quiet part of town. My point is: The miles it took to reach my hotel every night raised my risk more than the likelihood of a terrorist attack at a Western chain near the Consulate would have. 6. Appreciate that what's bothering you is not risk itself but your uncertainty as to the degree of it. 7. Lessen those risks you do have some control over. You can say to yourself. "What is the likelihood of the situation affecting my trip? Pretty tiny." And you can lessen those risks you do have some control over. You can drive very carefully on your way to the airport. Be a smarter traveler: Follow Wendy Perrin on Facebook and Twitter @wendyperrin and sign up for her weekly newsletter to stay in the know. It's that wonderful time of the year again...when we take time to embrace each other and our holidays of Thanksgiving, Chanukah and/or Christmas and the ringing in of the New Year. Thanksgiving has come and gone and with it we are left with memories of time spent with friends and family and maybe a few extra pounds -- the preamble to more holiday feasting. Here at Reid Travel, we want to wish a very happy holiday to those of you who celebrate Chanukah (the Jewish festival of rededication, also known as the festival of lights). On Chanukah it is traditional to eat oily foods like fried potato latkes (pronounced "lot-kuhs" or "lot-keys") and sufganiyot (jelly donuts) in commemoration of the miracle of one jar of oil which burned miraculously for eight days. Chanukah is also a time to give gifts, be it to family, friends or your favorite charity. At Reid Travel we make holiday gifting easy in the form of awesome experiences. It's always warm somewhere; it's always cold somewhere; and our travel-helpers are standing by for all of those at a loss to find the perfect gift. And keep in mind that travel is a gift that keeps on giving.